Jack is "Just Another Contract Killer." He works for the villain Mitrij Volkov of HARM in the prequel to the No One Lives Forever series. 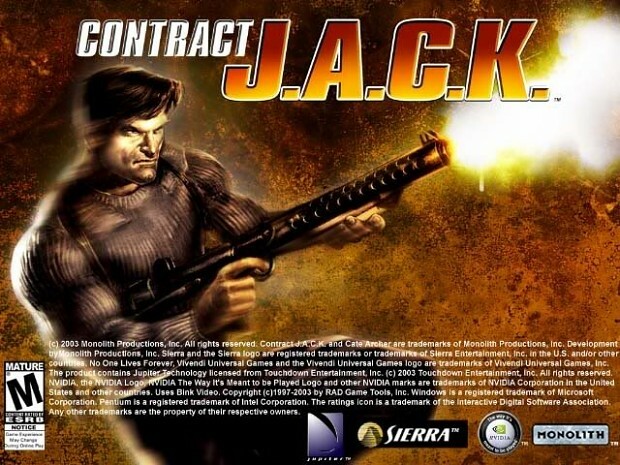 Jack is your typical hired gun in Contract J.A.C.K., so the game dispenses of the humor from NOLF and instead focuses on gameplay, guns, and shootouts. While receiving discouraging ratings from reviewers, Contract J.A.C.K. is modable, allowing changes to models, gameplay, and maps. This is the latest official patch for the French version of Contract J.A.C.K. This is the latest official patch for the French version of Contract J.A.C.K. The patch was released one day before the game shipped.